With a wealth of rich, polished, experiential pieces from a gifted bass clarinetist, saxophonist, composer, and world-watcher, Luciano's Dream is an affecting elegy that encapsulates, enriches and transcends life's challenges and diversities. The bassless, all-star quartet features trumpeter Cuong Vu (who debuted with Bound [OmniTone 12002]), chameleon-like guitarist Brad Shepik and drummer Tom Rainey. Sparkling and mournful, cutting-edge and lyrical, this will turn some heads and turn on some ears. 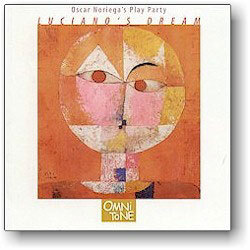 All compositions by Oscar Noriega, published by Sweet Thunder Music (ASCAP).